Jimmie Johnson won this weekend’s eliminator round NASCAR race in Texas. But it was a collision between two of the title contenders in the final laps that shook up the standings and led to an ugly post-race brawl. 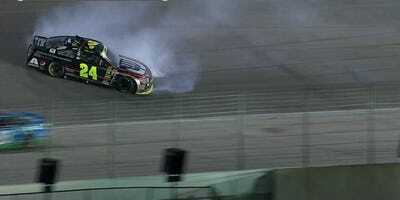 Jeff Gordon (car no. 24), who was leading the standings prior to the race, was leading this race with two laps to go when Brad Keselowski (no. 2) tried to pass Gordon heading into a turn. Keselowski appeared to have a good inside position when Gordon tried to go low into the turn and collided with Keselowski. Gordon’s left-rear tire went flat and he spun out, effectively taking him out of contention for this race. 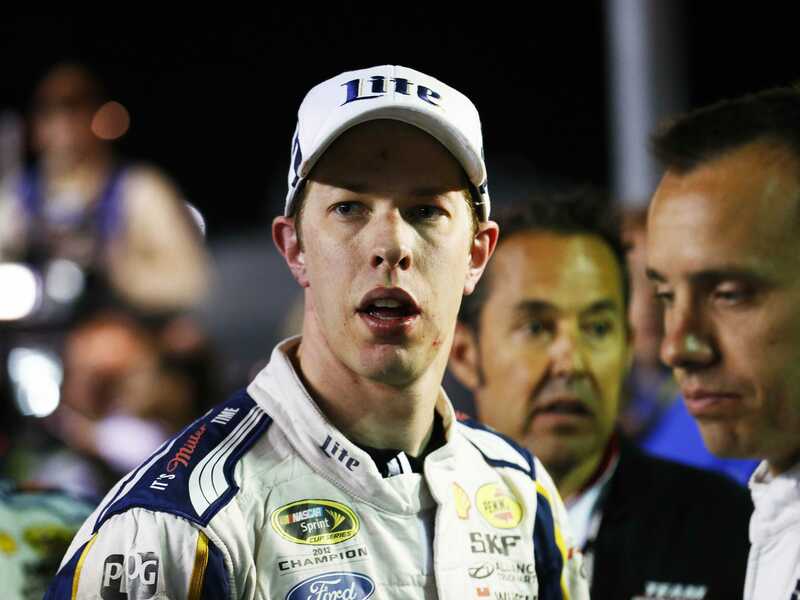 Keselowski ultimately finished third, a huge boost to his chances to remain in contention for the Sprint Cup. Currently, Keselowski and Gordon are two of the eight drivers still alive in NASCAR’s new playoff format. After next weekend’s race in Phoenix, four of the drivers will be eliminated. Keselowski remained in seventh place after the Texas race, but he narrowed the gap between himself and the top four substantially. Meanwhile, Gordon finished 29th and fell from first in the standings to fourth and is just a single point ahead of the fifth and sixth place drivers. 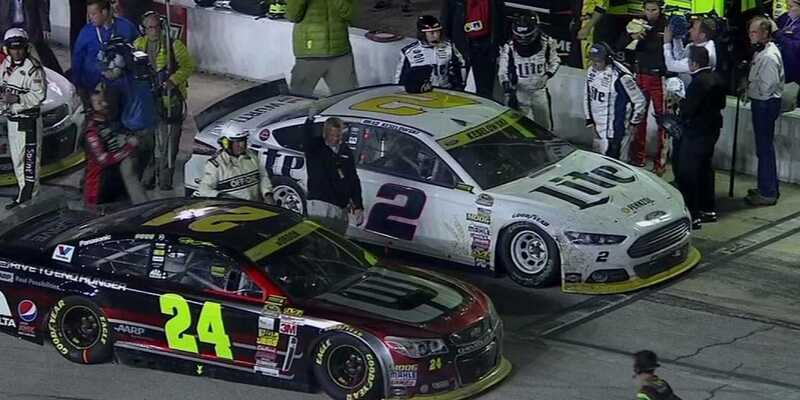 Needless to say, Gordon was not happy and after the race, he pulled his car up next to Keselowski’s in the pit area. 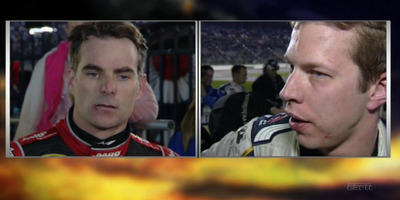 After Gordon got out of his car, he approached Keselowski and words were exchanged. 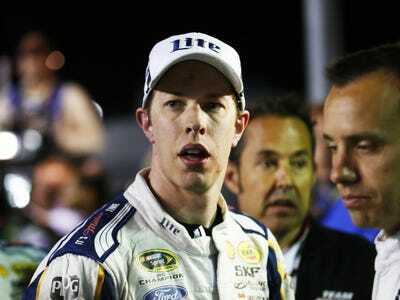 Kevin Harvick, who finished second in the race, eventually came over and shoved Keselowski in the back. 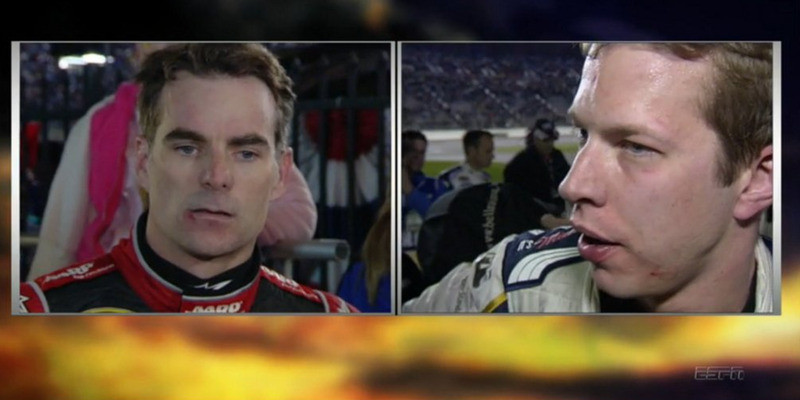 That’s when complete chaos broke out with Gordon going after Keselowski (0:30 mark in the video below). Both drivers were left bloodied after the fight but once again it was NASCAR that was left with the black eye.